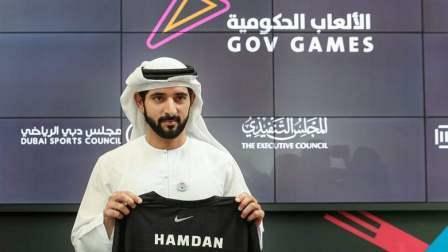 Come next month, it will be the ultimate test of physical and mental aptitude as government employees across the UAE will battle it out for Dh2m in prize money. Hosting both male and female teams from government departments across the country, participants will be pitted against each other to showcase their physical fitness, mental agility and problem-solving skills. Teams will be made up of seven members each; five main competitors and two substitute members. The three-day challenge will be split into two parts; a qualifying round and the finals. Female competitors will take on the dedicated beach obstacle course on day one of the challenge and male competitors will compete together on day two. Day three will see the four winning teams from the qualifying rounds (two female teams and two male teams) go head-to-head on a brand new course, which will be revealed on the day. The two winning teams from each category will take home Dh1 million each. A team of judges will oversee the competition and will assess and award points based on their ability to work as a team, navigating the obstacles within the allotted times. The winning teams will be declared as the ones that work best as a group and complete the final obstacle on day three in the shortest time. Speaking to Khaleej Times on Sunday, Marwan bin Essa, Director of 'Gov Games' said the competition is the perfect mix of brain and braun. "The spirit of teamwork is the backbone of this initiative. If you're only physically fit, you will fail. Sheikh Hamdan wanted to focus more on mental agility and teamwork, so that is what will see competitors succeed." Although the exact setup of the course was not revealed during Sunday's announcement, bin Essa said one example of what teams will have to do to score highly is pass the finish line together, as one. "The most physically fit competitor can't just pass the line on his/her own, it's about encouraging all to cross the line together, as a team." Regarding the prize money - which was doubled from Dh500,000 per winning team to Dh1m by Sheikh Hamdan - Abdullah Al Basti, Secretary General of the Executive Council told Khaleej Times that it will be distributed between the team members. "It will be for the competitors only. The money will not go to the government department from which they are representing." With the spirit of teamwork at the backbone of the 'Gov Games', Sheikh Hamdan launched the unique and first-of-its-kind fitness competition to provide a platform to strengthen collaboration. The main goal is to continue shedding light on the government of Dubai being one of the most innovative and dynamic in the world. A total of 50 entities will be competing in the 'Gov Games' including teams from the Federal government and it will hold the dedicated hashtag of #1TEAM1SPIRIT.